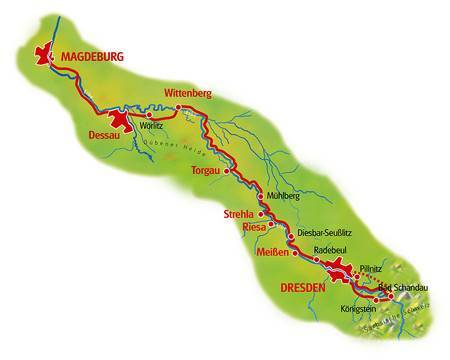 Cycle from Dresden to Dessau on the Elbe Cycle Path on this self-guided holiday. 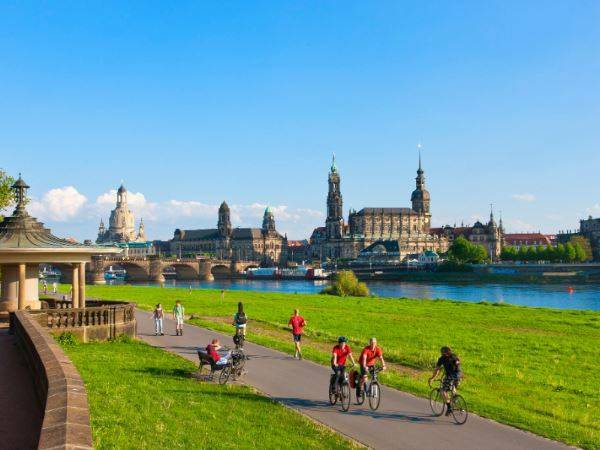 Discover the magic of Dresden and its World Heritage Site, explore the dramatic sandstone mountains and ride around the historic cities of Wittenberg and Torgau. As you cycle through the romantic valley of the Elbe you will pass pretty villages, lush vineyards and have the chance to visit the famous pottery city of Meissen. The tour ends in Dessau, a mecca for architecture enthusiasts. Welcome briefing and distribution of rental bikes. Afterwards use the opportunity to stroll through the beautiful old town Dresden. Explore the world famous sights and the magic of the city with the unique buildings like “Zwinger Palace”, “Frauenkirche” (Church of Ladys), Dresden Castle and the famous opera house (Semperoper). Return to Dresden by a suburban train. The bikeway leads along the river Elbe to the baroque Castle Pillnitz and upwards to the Elbe Sandstone Mountains. The Sandstone‐Tablemountain with the fortress Königstein is on the right side of the Elbe. The return from Bad Schandau to Dresden happens by bike or suburban rail (optional). 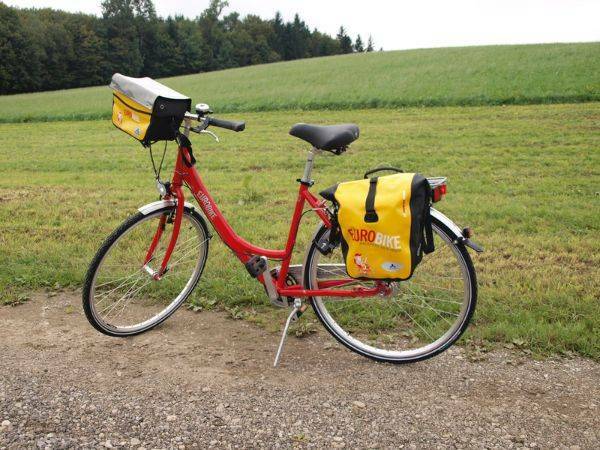 Today you'll be cycling along the romantic valley of the Elbe you cycle through Saxon Vineyards past Radebeul to Meissen. The city of Meissen is well known for Meissen porcelain. The picturesque alleys of the historical city center give an occasion to take a stroll and to go on shopping. Come and see the “Albrechtsburg” or the world famous Meissen manufactury. Taste the wine or visit the baroque castle Diesbar‐Seußlitz on you way along the saxon wine route. Overnight in Riesa! On the way to Mühlberg visit the Cistercian monastery and you should not miss the “Treblitzscher Baumpark” (Treblitz park of tree´s) with trees and bushes from five continents. The castles “Lichtenberg” and “Pretzsch” show the way to Wittenberg. When you arrived in Wittenberg you have the opportunity to follow the traces of Martin Luther. The hall of Luther is the most interesting building of Wittenberg and has the largest world historic collection on the Reformation. Continue downstream through the charming Wörlitzer Park Grounds to Dessau, a Mecca for architecture lovers. 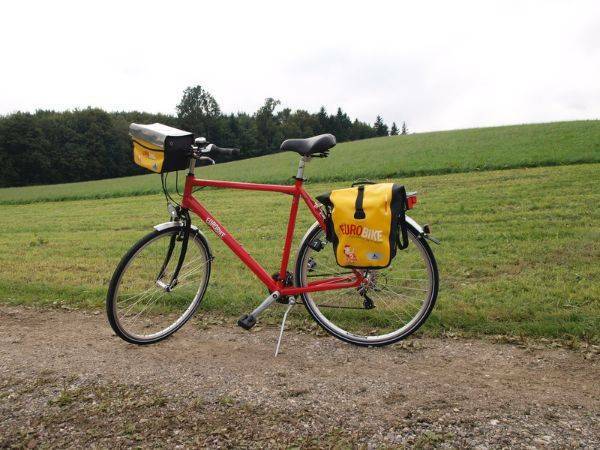 Daily routes from 30 to 70 km in flat and slightly hilly terrain. The Elbe cycle path offers the possibility to cycle on car-free roads along one of the most beautiful and most important rivers in Germany. Other sections lead along small country roads and paths with less traffic through diversified river landscape. We recommend flying to Dresden or Prague airport to reach the starting point of this cycling holiday. 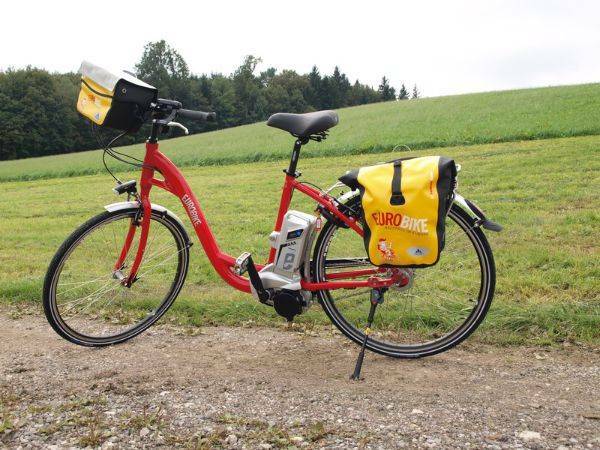 The Elbe Cycle Path: Dresden to Dessau cycling holiday includes the daily transfer of luggage to the next hotel and local support if required. Riesa Mercure Hotel Riesa Hotel "Wettiner Hof"